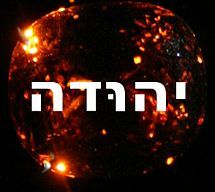 Jehoahaz II (Hebrew: יהואחז, Yehōʼākhāz; Greek: Ιωαχαζ, Iōachaz; "Name means::YHWH has held"), or Shallum (Hebrew: שלום, Shallūm; "Name means::retribution") (633 BC-r. 610 BC-610 BC according to Ussher, or 632 BC-r. 609 BC-609 BC according to Thiele), was the sixteenth king of the Kingdom of Judah and the first of its kings to die in exile (King Hoshea of the Kingdom of Israel also died in exile). His birth name was Shallum, (1_Chronicles 3:15 ) but his father changed it to Jehoahaz later in his life. Why Josiah so acted, the Bible does not say. Perhaps Josiah did this after reading the full history of the Shallum of the Kingdom of Israel, who was a regicide and who died at the hand of still another regicide (Menahem). He was born in the eighteenth year of his father's reign. His mother was Hamutal (2_Kings 24:31 ). He had three known brothers. The first-born, Johanan, probably died in action at Megiddo. Another, Jehoiakim, was his half-brother by Zebidah and was in fact two years older than he. His third, full brother was Zedekiah. He acceded to the throne of the Kingdom of Judah after his father died in battle against Pharaoh Necho II of Egypt (2_Kings 24:29-30 , 2_Chronicles 25:23-24 ). Ussher says that the people of the kingdom acclaimed him in order to have a king in the land, in fear of an invasion by Necho. Why the people acclaimed him instead of his older brother, again the Bible does not say (2_Chronicles 36:1 ). Shortly after Jehoahaz came to the throne, the prophet Jeremiah came to call on him, and warned him that God was angry with the kings of the Kingdom of Judah and that he, Jehoahaz, would be taken prisoner and deported to Egypt and would never see his native land again (Jeremiah 22:1-2,10-12 ). Jehoahaz was forcibly removed to Egypt, and there he eventually died. ↑ Jehoahaz in the Columbia Encyclopedia, 6th ed., Columbia University Press, 2000. Retrieved April 10, 2007. ↑ George Konig, Jehoahaz, King of Judah, AboutBibleProphecy.com, 2007. Retrieved April 10, 2007. ↑ Dennis Bratcher, The Rise of Babylon and Exile (640-538 BC), 2006. Retrieved April 10, 2007.